Grab Your Copy Of “Collision Low Crossers: A Year Inside the Turbulent World of NFL Football” Today! We watch football every Sunday, but we don’t really see it. By spending a year with the New York Jets, Nicholas Dawidoff explored the game in such an intimate way that he can now put you right inside the NFL. Collision Low Crossers* is a story that is part Paper Lion and part Moneyball, part Friday Night Lights and part The Office. In this absorbing, funny, and vividly written narrative, he describes the Combine, the draft, the practices, the strategy meetings, all while thinking deeply about such fundamental truths and the nature of success and disappointment in a massive and stressful collective endeavor. Most of what happens in today’s NFL takes place at team facilities, walled off from fans and, until now, from writers. 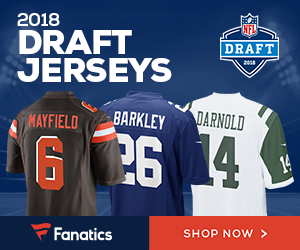 The New York Jets issued Dawidoff a security code, a locker, and a desk in the scouting department: for an entire year he lived with the team, from early-morning quarterback meetings to edgy late-night conversations. Dawidoff makes an emblematic NFL season come alive for fans and nonfans alike. Here is football in many faces: the Jets’ polarizing, brilliant, and hilarious head coach, Rex Ryan; the general manager, whose job is to support (and suppress) the irrepressible Ryan; the defensive coaches and their in-house rivals, the offensive coaches; players like the incomparable All-Pro cornerback Darrelle Revis and the young, erratic quarterback Mark Sanchez. Wise safeties, brooding linebackers, high-strung cornerbacks, enthusiastic rookies, and even a well-read nose tackle create a full portrait of obsessed men at work. Dawidoff has written the book of depth and feeling that football has long deserved, one that will forever change the way people watch and think about the sport. * “Collision low crossers” is a phrase defensive coaches use for the act of making legal contact with any potential pass receiver within five yards of the line of scrimmage. Beyond five yards, “collisioning” someone becomes a penalty. The term also evokes the most fundamental elements of the game–speed, aggression, the interplay between space and time, and meticulously planned events that likely will not come to fruition. Click HERE to order this excellent new book from Amazon.com today!